How Strong Is Jupiter’s Gravity? Jupiter is the most massive planet in our Solar System and; therefore, the gravity of Jupiter is the most intense in the Solar System. The gravity of Jupiter is 2.5 times what it is here on Earth. In the 1990s Jupiter’s gravity tore apart Comet P/Shoemaker-Levy 9 and pulled the broken pieces into the to planet. This marked the first time that humans had direct observation of two extraterrestrial Solar System bodies colliding. Jupiter had actually captured the asteroid between 20 and 30 years prior to impact and it had been orbiting the planet since. In 1992, the asteroid entered Jupiter’s Roche limit and was broken apart by the planet’s tidal forces. The asteroid resembled a string of pearls until its fragments impacted the surface July 16-22 of 1994. The fragments were as large as 2 km each and hit the surface at 60 km/s. The impacts allowed astronomers to make several new discoveries about Jupiter. Astronomers found several chemicals within the Jovian atmosphere that had not been seen prior to the impacts. Diatomic sulfur and carbon disulfide were the most interesting. This was only the second time that diatomic sulfur had been detected in any astronomical object. 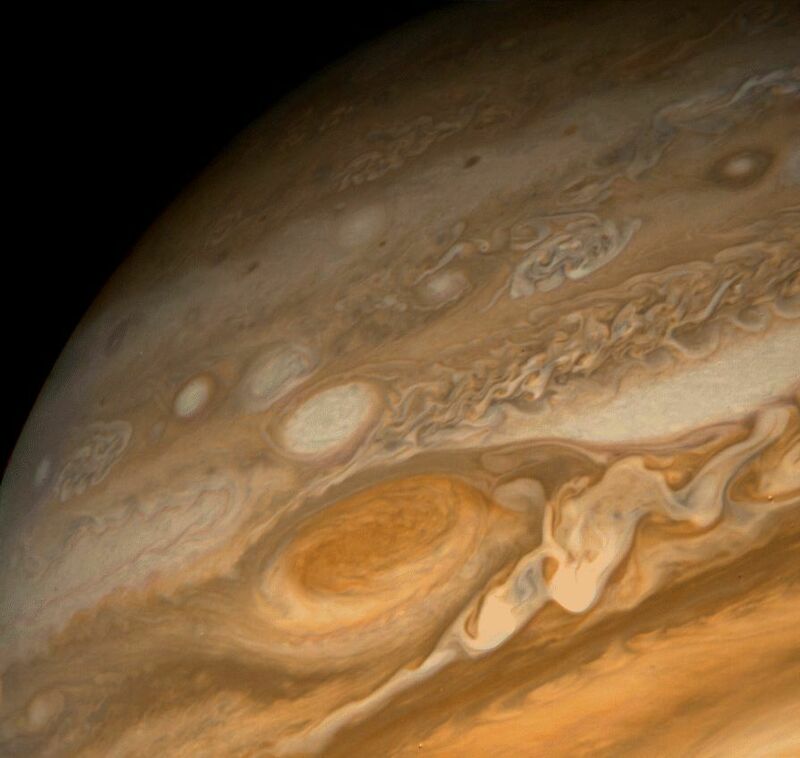 Ammonia and hydrogen sulfide were detected for the first time on Jupiter. You can read up on other discoveries made during and shortly after these impacts by reading this article and this pdf from C.A. Olano. Some scientists, including Jacques Laskar of the Paris Observatory, as well as Konstantin Batygin and Gregory Laughlin of the University of California, Santa Cruz believe that Jupiter’s gravity may lead to the destruction of Mercury. After running some simulations the group found that Jupiter is perturbing Mercury’s already eccentric orbit. They arrived at four possible end results: Mercury will crash into the Sun, Mercury will be ejected from the solar system altogether, Mercury will crash into Venus, or Mercury will crash into Earth. None is pleasant for Mercury and the last would be even less pleasant for humans. Not to fear though, none of these possible outcomes will happen in the next 5-7 billion years anyway. The gravity of Jupiter affects every planet to one degree or another. It is strong enough to tear asteroids apart and capture 64 moons at least. Some scientist think that Jupiter destroyed many celestial objects in the ancient past as well as prevented other planets from forming. How’s that for a powerful neighbor? Here’s an article from Universe Today about how Jupiter’s gravity might actually wreck the Solar System, and here’s an article about how big planets like Jupiter could get. Use this site to calculate your weight on other worlds, and here’s more information about Comet P/Shoemaker Levy 9. We’ve also recorded an entire show just on Jupiter for Astronomy Cast. Listen to it here, Episode 56: Jupiter, and Episode 57: Jupiter’s Moons. whats the point of even learning it?? science is not boring, like planets, aliens, . What if you saw the full or bright UFO landed on Earth or near in your area. Then, what would you do? Just blogging again and taking a pic. It considered you interested in science. Science is important to learn and use your knowledge to invent for the planets and discovery of UFO landed on earth and saw an alien. Previous PostPrevious What is the Diameter of Jupiter?